May 9 is National Moscato Day. 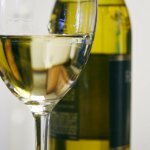 You must know this wine, as far as it is the third the most popular white wine consumed within the United States. National Moscato Day was introduced in 2012 by the Gallo Family Vineyards, the largest producer of excellent and affordable Moscato. The Gallo Family hopes that you will raise a glass of this wine to celebrate the holiday. The Muscat grape, that is used for wine production, is one of the oldest cultivated grape varieties. Food historians do not know for sure, where it originated, but it is believed, that it appeared on the southeast Arabian Peninsula. Later it made its way to Italy and other countries. Today the Muscat grape is one of the most popular in Italy, where sparkling and semi-sparkling wines are made of it. Moscato wine is low in alcohol, that is why everyone can enjoy the second glass without overdoing it. Its bouquet will remind you of peach, honey and citrus, delicate sweetness and fresh acidity make this wine a perfect pair for a broad variety of foods. If you want to celebrate National Moscato Day, we would recommend you to prepare a nice plate of fresh cheeses to serve with wine.